On May 19, U.S.Navy’s HH-60 Seahawk helicopter while conducting training operations with USS Nimitz (CVN 68) crashed into the ocean off the coast of Southern California. The helicopter with five crew members, was from Helicopter Anti-submarine Squadron HS-6. 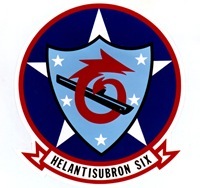 HS-6 is a Helicopter Antisubmarine Squadron employing the SH-60 and HH-60 Seahawk rotary wing helicopter. Their primary missions include Anti-Submarine Warfare, Search and Rescue, Combat Search and Rescue, Logistical Operations, and the insertion/extraction of Special Forces Personnel. HS-6 is home ported in San Diego and is part of Carrier Air Wing (CVW) 11 assigned to the USS Nimitz Carrier Strike Group (CSG). The helicopter was operating from USS Nimitz (CVN 68) off the coast of California, when the mishap occurred. On May 20, during Search And Rescue (SAR) operations conducted by assets from the U.S. Navy, U.S. Coast Guard, San Diego Harbor Police, Customs and Border Protection and the Mexican Navy, the bodies of three crewmembers were recovered from the crash area. On May 21, SAR efforts to locate the remaining two crew members were suspended as aircrew survivability was doubtful. The U.S.Navy is now focusing on the feasibility of salvage operations. Experienced search and salvage specialists from Explosive Ordnance Disposal Mobile Unit (EODMU) 1 are using Unmanned Underwater Vehicles (UUVs) with side-scan sonar technology to locate the helicopter in the sea. 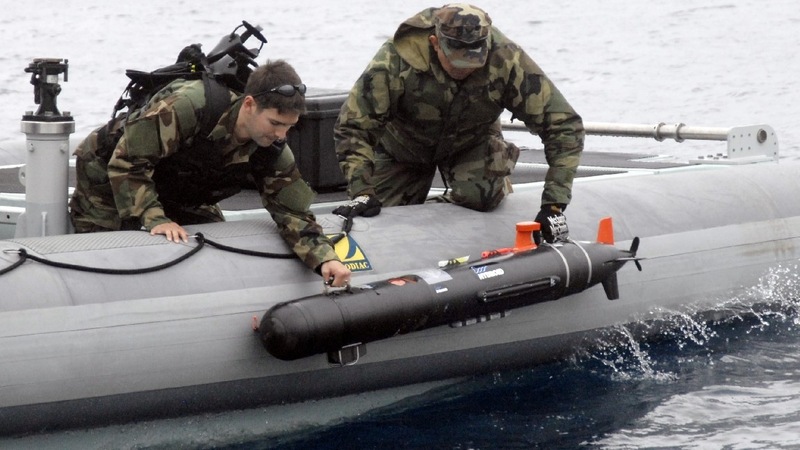 The data collected by the UUVs will be analyzed to help determine follow-on salvage operations. The mishap is under investigation. It may be recalled that the “Indians” of Helicopter Anti-Submarine Squadron (HS) 6 reached a new milestone on February 8, 2008 by achieving 19 years of flight operations without a class “A” mishap. Here is a photograph from U.S.Navy. Read more from the U.S.Navy, Helicopter Anti-submarine Squadron HS-6. Three mine countermeasure ships, USS Champion (MCM 4), USS Devastator (MCM 6) and USS Pioneer (MCM 9) have also joined in search efforts on May 21 for the HH-60 Seahawk helicopter. Read more from the U.S.Navy. Pictures of departed crewmembers are displayed during a memorial service in the hangar bay of the aircraft carrier USS Nimitz (CVN 68). Lt. Cmdr. Eric J. Purvis, 37, of Poway, Calif.
Lt. Allison M. Oubre, 27, of Slidell, La. Naval Air Crewman 1st Class (AW/NAC) Samuel “Grant” Kerslake, 41, of Hot Springs, Ark. Naval Air Crewman 2nd Class (AW/NAC) Aaron L. Clingman, 25, of Bend, Ore. Naval Air Crewman 3rd Class (AW/NAC) Sean M. Ward, 20, of Lovelock, Nev. The above photograph is from U.S.Navy. Photograph by Mass Communication Specialist 3rd Class Patrick Heil/Released.